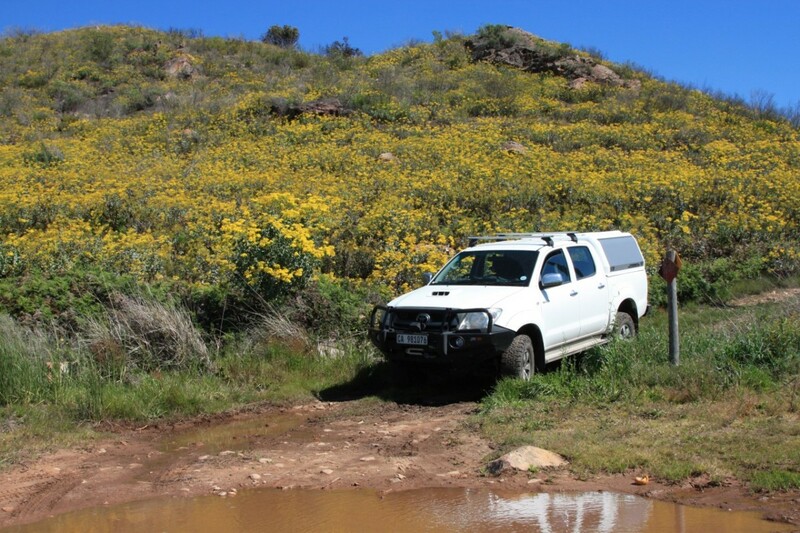 If you need a short trail to put your low-range 4×4 to a mild test, and you are based in the Cape, then Sneeukop 4×4 near Rawsonville may be just the thing. It’s ideal for those who are pressed for time and want to fit in a few other activities (from mountain biking to wine tasting) into their weekend visit, or have family members who are not too keen on spending the entire weekend bumping over rough ground. Whatever the case, as 4×4 trails go, Sneeukop is short and sweet. 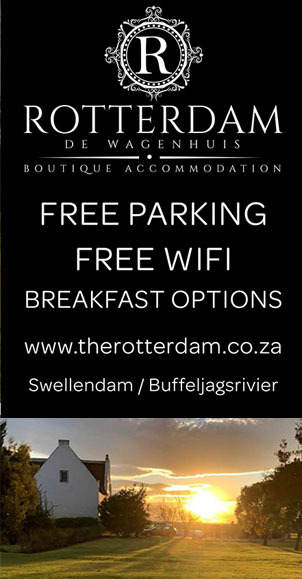 Directions: On Van Riebeeck Street heading out of Rawsonville, take the Goudyn Road turn-off (at Goudini Wines). It is 2.9km to Carel Le Roux’s farm at the end of this road. Terrain: Gravel and loose rock. Recovery facilities: Bring your own. They should not be needed. Best time of year: Avoid the hottest summer months, or go early. Tyres: All-terrains will provide some confidence. It’s not a tyre-breaker. Tyre Pressure: We ran standard pressures. What vehicles were we driving? Hilux Revo GD-6 manual; Hilux Vigo D4-D manual. ACCOMMODATION: None. 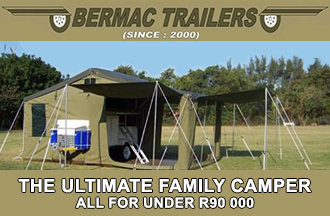 There are many other accommodation options in the Breedekloof area, from camping to chalets. The closest facilities are at Watergat, which has camping for up to 40 people near a dam, with braai facilities, electricity and hot showers. We used the trail as a quick shake-down test for the new face-lifted Hilux Revo GD-6, and for comparison’s sake brought along my older Hilux Vigo D4-D bakkie. Owner Carel Le Roux explained the route, and showed us the entrance − which is not far from his farm gates. Having engaged four-wheel drive at the trail head, the first section, which was swathed in yellow spring flowers, provided a fairly steep, bumpy start. One or two small rock steps required wheel-placement guidance, and there was some loose rock; but, in general, this was mild stuff. We mostly just enjoyed the smell of the different types of fynbos we were brushing past on either side of the track. We came across a few single track mountain-bike routes cutting across our path on the way up, so clearly this is a haven for the two-wheeled fraternity. It’s easy to see why, as the lower slopes in this amphitheatre of mountains provide spectacular views of stark and sparsely-vegetated peaks in almost every direction. As Carel explained, just before the halfway mark there is a concrete strip escape-route to the right, and a short but slightly more challenging loose-rock loop to the left. 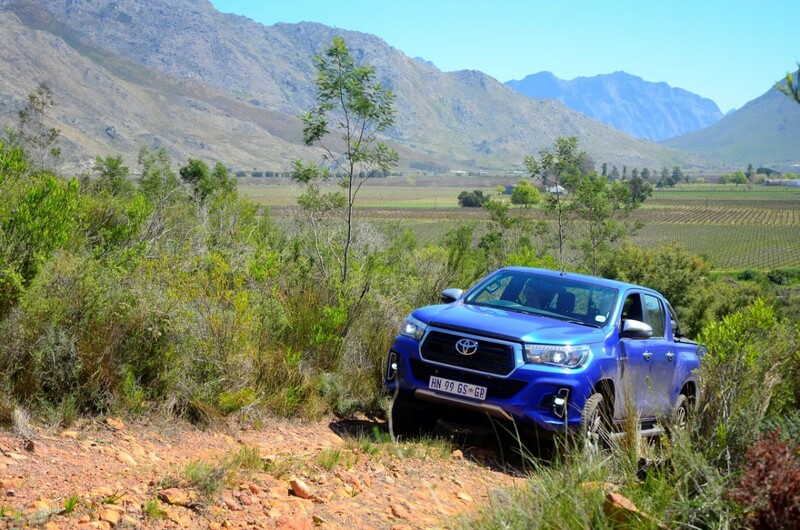 We opted to tackle the more difficult section, which had the two Hiluxes bouncing about a bit. 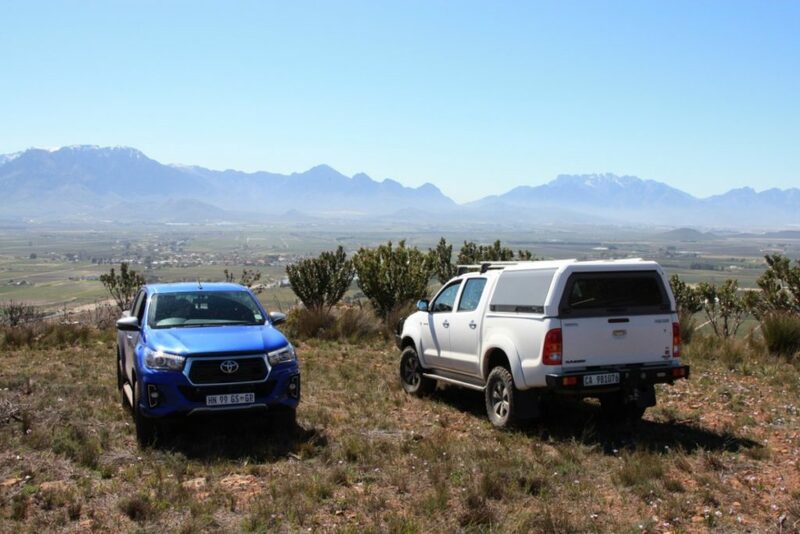 We were already in low-range, and found it interesting that the new Hilux sailed through, using no more help than the standard traction control system, while my older Hilux needed the rear diff lock engaged… after which it simply walked up the route. Not long after that, we topped out on a small plateau where there is a flat parking area, and a picnic spot complete with a small stone braai. The lookout is spectacular, and on the clear day we visited, the views stretched for many miles to the snow-capped peaks opposite. 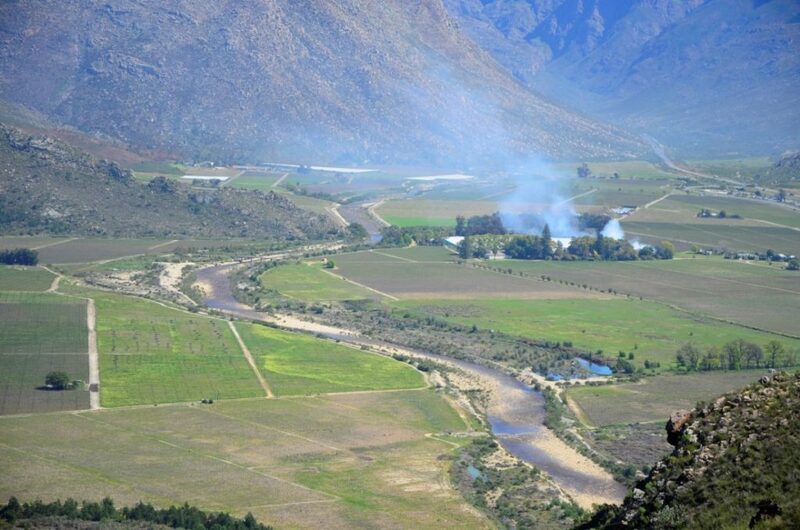 Rawsonville was spread out in the valley below, Worcester could be seen in the far distance, and the entrance to the Huguenot Tunnel and Du Toitskloof Pass was to the left. If my map reading is correct, Sneeukop is a bulge of hardy granite nestled between the Molenaars and Holsloot rivers, and cut off from the surrounding mountain ranges. This became clearer as we neared the end point, which traverses a spur and ends at the 4.5km mark with another view across the valley to the Brandvlei dam and the Wemmershoek mountains, with its peak at 1766m above sea level. This is somewhat lower than that of Du Toitskloof which forms the main backdrop here, and whose peak is measured at 1995 metres. We did a fairly rapid out-and-back drive on the route, totalling just over 9km (as one returns the way one has come), simply enjoying the views over the valley as we compression-braked down the steeper sections. Some opt to camp at the picnic spot situated 3.5km into the route, which no doubt gets blustery when the wind picks up. It is worth noting that there are no formal facilities of any sort: no ablutions, no electricity, and no water. The trail looks as if it was established to service the satellite towers and electricity pylons that we encountered in the first 2km of the track. As such, it is well-maintained, with some road-building evident where there might have been washaways. Was it worth the R200 fee? It might seem on the steep side, but if this helps to keep the route maintained and available, then that’s a good thing. 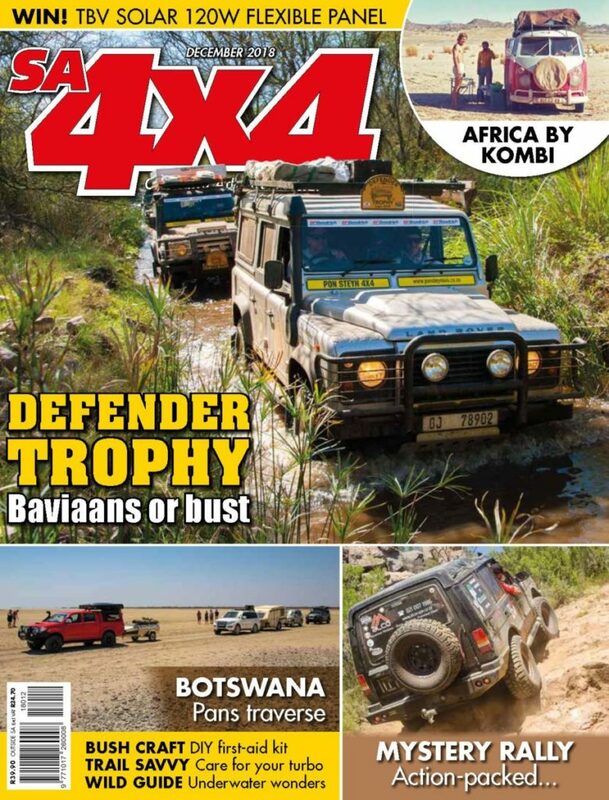 Rather than a serious challenge, it works as a safe testing-ground, and a chance to use the low-range capability of your 4×4 without doing any damage. It certainly is an enjoyable morning (or afternoon) drive, and a chance to be out in the mountains for a few hours. 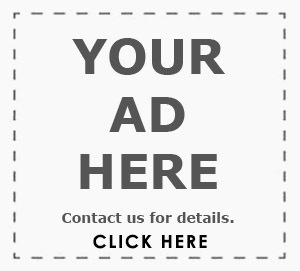 To make a booking, fill out the contact form below.